The Hot Shots and Sports Accessories for the Sports Star in Your Life! School is now back in session and we are going into the season of fall sports! This year, Tag UR It! inc is helping to support a great soccer team! 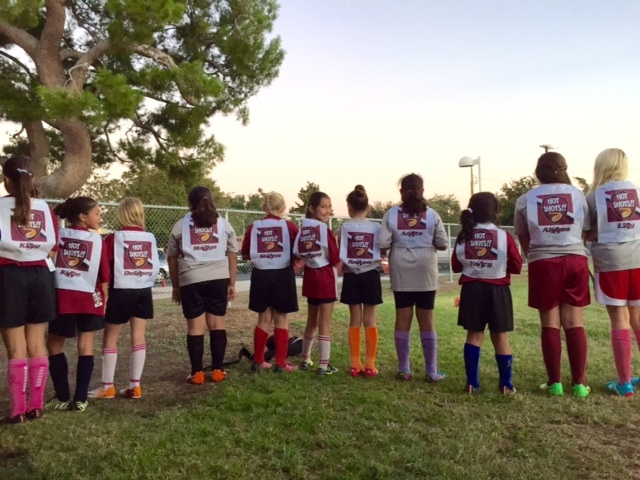 A friend of Tag, Victor Skillings, is currently volunteering with AYSO in Tustin, CA. He is coaching the Hot Shots fall soccer team. He has volunteered his time to youth sports in the past and loves seeing the bonds and friendships grow among the young players. The team currently consists of 12 lovely girls who come from various financial backgrounds and who all cannot afford to have a soccer backpack, slides, or a ball. Even with programs to help these girls join, some parents don’t have the financial ability to afford the little extras. Registration fees are $180 per child! In order to help these amazing girls, a Go Fund Me campaign has been started in their honor. Tag UR It! inc. has donated and we hope you will too! Your support will cover tournament fees, water bottles, additional soccer gear for practices, team banner, trophies, and equipment. Along with donating to the Go Fund Me, we are thrilled to be able to help these girls show a little team spirit with custom made drawstring backpacks and fun customizable sports accessories! Now that your kids are starting fall sports, don’t you want yours to stand out with a custom bag tag from Tag UR It! inc.? These custom metal tags can feature your team’s logo, your player’s name, uniform number, position, and any other information you wish! 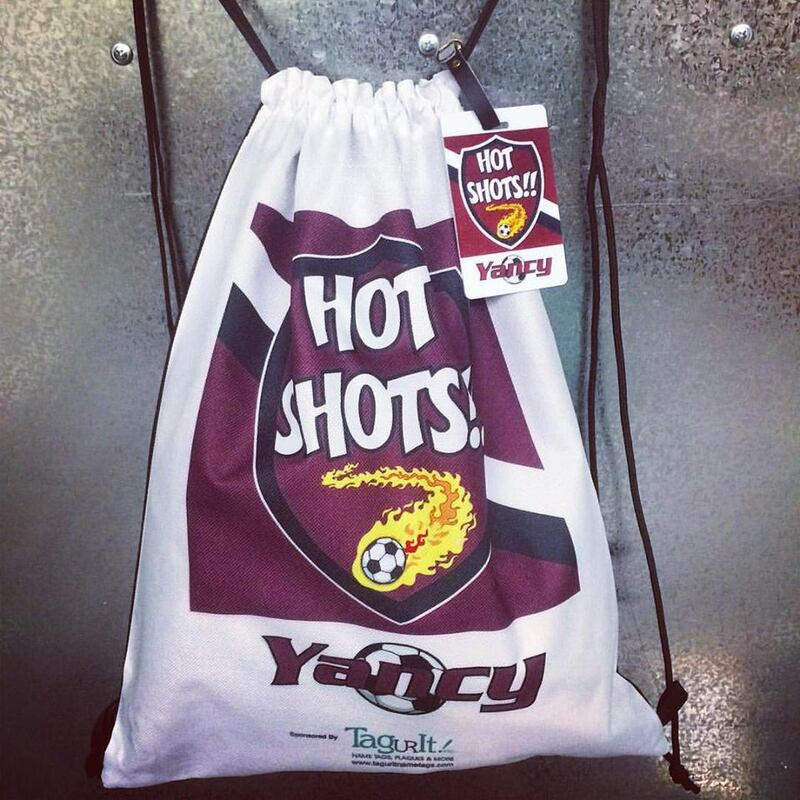 We can even put your player’s photo on the bag tag! These tags are sublimated in full color. Sublimation is a process in which sublimation inks are heated to 400°F, at which point they turn into a gas and form a permanent bond to the metal or polymer coated material. The result is a premium full-color, photographic-quality image that will not crack, peel or wash away. This makes these tags water resistant and will not allow them fade in the sun. This makes for a sturdy tag that will be outdoors on a sporting field!! Make sure your player’s equipment bag is labeled with a custom bag tag from Tag UR It! inc.! Contact us for more information and a free digital mock-up of your custom tags today! 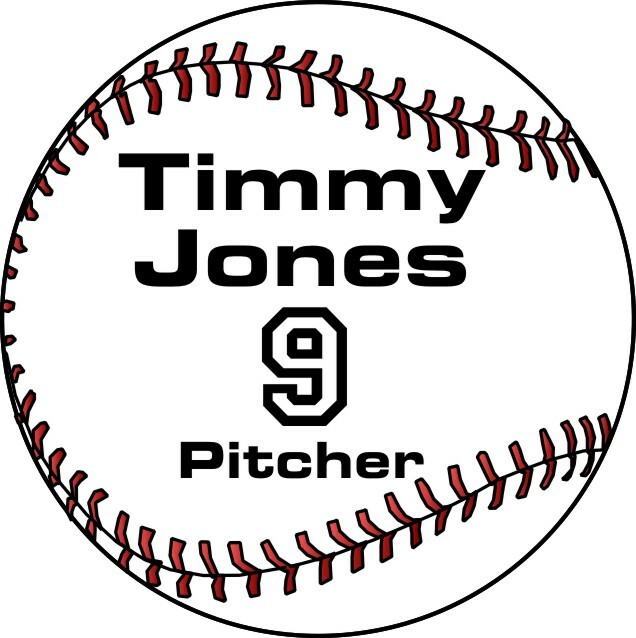 This custom equipment bag tag features a Little League team logo and player’s name! Oh the places our engravings go! LPGA East Texas shootout! Its always exciting to see a product made in our Costa Mesa, CA warehouse in action somewhere cool! This weekend, on the front of CBS Sports, was one special engraving that came out of Tag UR It! inc. headquarters. 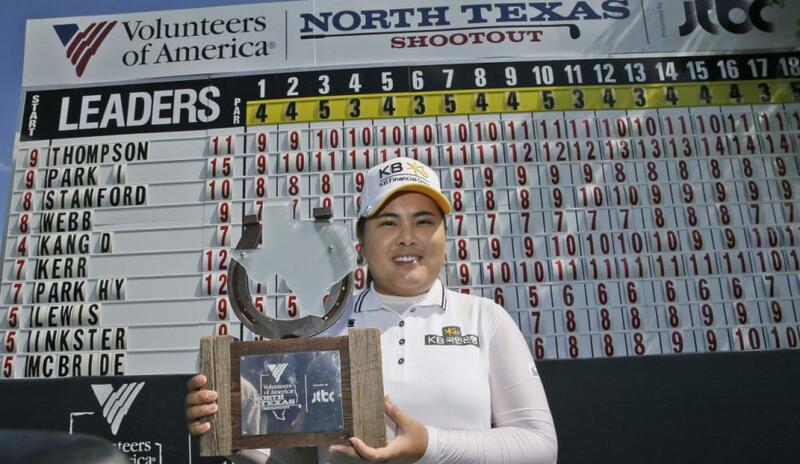 The North Texas LPGA Shootout took place in Irving, TX on Sunday. For the second time in 3 years, Inbee Park is taking home the trophy! This year, we are very proud to have had a little part in that trophy: we engraved the mirror finished plate on the front of the custom made trophy! The beautiful trophy featured a wooden base, huge Clydesdale horseshoe, and custom cut glass Texas! On the wooden base was our mirror finished aluminum plate! This work of art was created by our friend, former LPGA Professional Golfer, Muffin Spencer Devlin! Muffin is an amazingly talented artist, now most known for her beautiful hand blown glass. Check out her website here! Engraving is just one of our custom services offered at Tag UR It! inc.. Here are a few examples of custom engravings we have done in the past! Signatures, logos, awards, plaques, and personalizations…we can help with any of your engraving needs! Where will one of our custom engraving end up next? We can’t wait to find out!! Its Superbowl Weekend!!! Its all about Name Recognition! 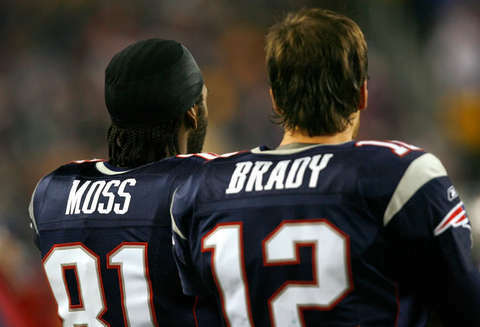 Its Superbowl weekend and the New England Patriots the have made it to the Superbowl! Now I will be the first to admit that I have always been a bandwagon football fan at best. In previous seasons, it was only as the Pats neared the Super Bowl that I watched a game…and even then I didn’t really understand what I was watching! The half-time show has always been my favorite part of Super Bowl night! Being a Rhode Islander, I have to say I am a Pats fan 😉 In the last 3 years here in California, I have actually learned quite a bit about football and have learned to enjoy watching the game! Im looking forward not ONLY to hearing Idina sing the National Anthem and Katy’s halftime show…but also looking forward to seeing the Pats win this Sunday! While watching football in the last few weeks, I noticed how often the back of a player’s jersey was flashed across the screen for the viewers at home to easily see which player was just involved in a play. It’s all about name recognition! Players’ names are printed on the pack of their jersey. Their name and number, along with team logo, become iconic through that jersey. A name tag can work the same way! You see, name recognition works the same way in any business setting! Name tags become the iconic symbol of many customer service based companies, making employees recognizable to customers upon first glance! A player’s jersey is like theirname tag! Players are motivated to do and be their best while they are wearing that jersey, on and off the field. With new Tag UR It! Inc. name tags, your employee motivationwill skyrocket! Each and every person on your staff will want to strive to do their best, proudly wearing a badge that gives them recognition by name as a member of your team! School is now out and we are going into the season of summer sports! Taking a walk in the park the other day, I noticed the 30 kids’ equipment bags lined up along the fence during evening practice. With so many bags, don’t you want yours to stand out with a custom bag tag from Tag UR It! inc.? Football season and the power of name recognition! Happy Patriots opening game!! Today was the first game of the season for the New England Patriots!! Now I will be the first to admit that I have always been a bandwagon football fan at best. In previous seasons, it was only as the Pats neared the Super Bowl that I watched a game…and even then I didn’t really understand what I was watching! The half-time show has always been my favorite part of Super Bowl night! But this is beginning to change!!! It is because of the Tag Team Prez, Catheryn, that I have a new love and appreciation of football! Are you ready for a really good laugh?? Catheryn taught me the basic rules of football is terms she thought I would better understand! I’m a bit of a girly girl, and believe it or not, I actually kind of got a grasp of the rules of football through this fabulous explanation! Today, I was able to watch the entire Pats game, understand what was going on, and totally enjoy it!!! While watching the game, I noticed how often the back of a player’s jersey was flashed across the screen for the viewers at home to easily see which player was just involved in a play. It’s all about name recognition! Players’ names are printed on the pack of their jersey. Their name and number, along with team logo, become iconic through that jersey. A name tag can work the same way! You see, name recognition works the same way in any business setting! Name tags become the iconic symbol of many customer service based companies, making employees recognizable to customers upon first glance! A player’s jersey is like their name tag! Players are motivated to do and be their best while they are wearing that jersey, on and off the field. With new Tag UR It! Inc. name tags, your employee motivation will skyrocket! Each and every person on your staff will want to strive to do their best, proudly wearing a badge that gives them recognition by name as a member of your team! I really enjoyed my relaxing Sunday on the couch watching the Pats’ first victory of the season! May there be may more victories to come!